I was about a 100 pages into Kinsey’s recommended Six of Crows last week when I was hospitalized for an emergency appendectomy. The surgery went well, but recovery has been slow. Between managing pain, digestion, and a slew of medications, my attention span was shot, and I had to put aside the gritty, fantasy heist story. I tried a couple of other books, but anything with a plot more involved than, like, solitaire, and I lost the thread. Luckily, I ran across* the fluffiest of fluff, which made my final day in the hospital bearable! Lore Olympus is a weekly web comic that retells the Greek myth of Hades and Persephone in a modern setting. The art is incredibly lush, and the story reads like the most indulgent of fan-fiction. Is there an extremely wealthy but emotional distant man who falls uncontrollably in love with a manic pixie dream girl? Well, I mean, that’s just canon. Are there sumptuous parties in elaborate mansions? Check! Beautiful and improbable clothes? Check! An absurd amount of dogs? Check! There’s 23 chapters up right now, and it updates on Sundays. Each chapter consists of a single scroll down panel with some really interesting vertical composition, which I found particularly easy to navigate on my phone in bed, making it the perfect companion for required bed rest. *Via a Twitter thread on “middle school weird girls” and the subset of “the ancient mythology stans,” in which I full-on recognized myself. In particular, you can read about both Atlas and Prometheus. And you should, because it really pisses me off that Francisco definitely and Rand probably, in Atlas Shrugged, are getting their myths so horribly wrong. Prometheus delivered fire/intelligence to the people. Then Zeus, being mad that the people are now slightly more godlike, punishes Prometheus by chaining him to a rock and sending vultures to eat his liver on a daily basis. Prometheus refuses to recant his beliefs or apologize for his actions and thus the punishment continues. Saying that John Galt is like Prometheus except that he broke his chains, and took the fire back until the people took back their vultures is like saying that John Galt was a man who stood up to bullies, but when the bullies attack him instead, Galt decided it was too much so he left until the bullies returned to their original targets. And this is supposed to be the person that Francisco thinks is honest and worthy and good? It makes me think Galt is a wimp who can’t stand by his own convictions and will go running home whenever the going gets tough. I can only assume that Francisco got his mythology wrong. The misapplication of the Prometheus myth in chapter 5, made me double check the Atlas mythology, which is a good thing because Francisco got that one wrong, too, way back in some previous chapter. First of all, Atlas is not holding up the world, he’s holding up the heavens, preventing the two from mixing back into primordial goop. Second, holding it up is a punishment. Atlas was a Titan who fought against Zeus and lost. Holding up the heavens is not a choice or anything done for altruistic reasons. He can’t set it down. He can’t shrug. Francisco saying that if he were Atlas, then he would just shrug, is a bit like him saying that if he were in prison, he would just leave. It’s not exactly an option! 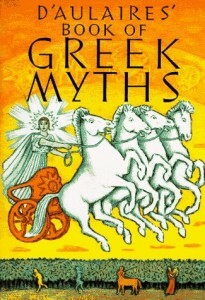 Go read the actual mythology, people!